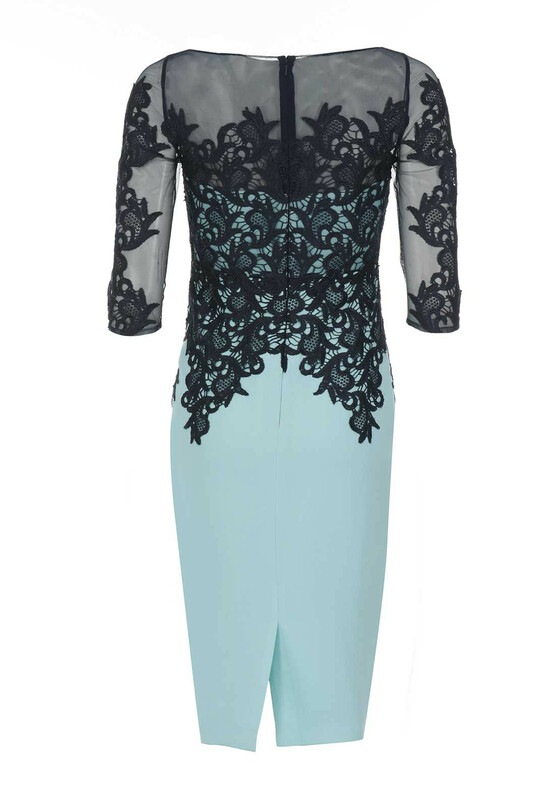 Presented in a vibrant aqua blue shade, this elegant dress and jacket occasion wear outfit by Veni Infantino for Ronald Joyce would be a great choice for a Mother of the Bride or Groom. 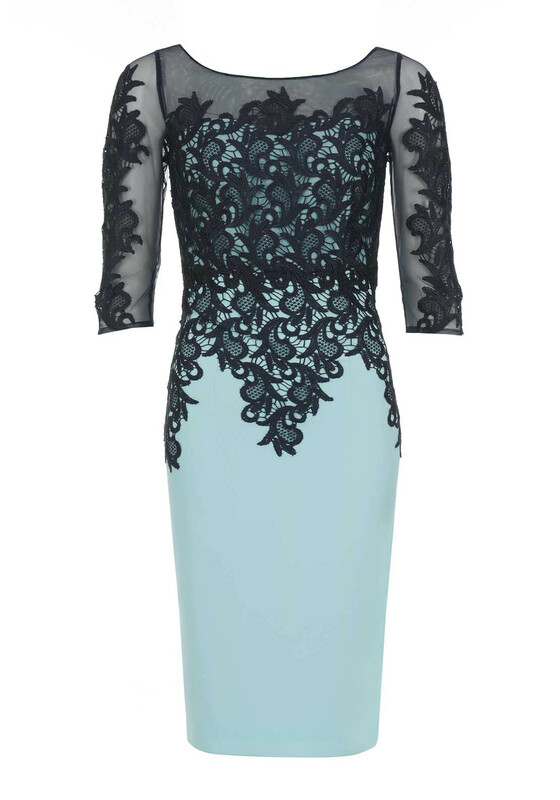 The fully lined crepe dress is styled with a pencil dress and features a gorgeous navy embroidered lace overlay on the bodice and sheer cropped sleeves. 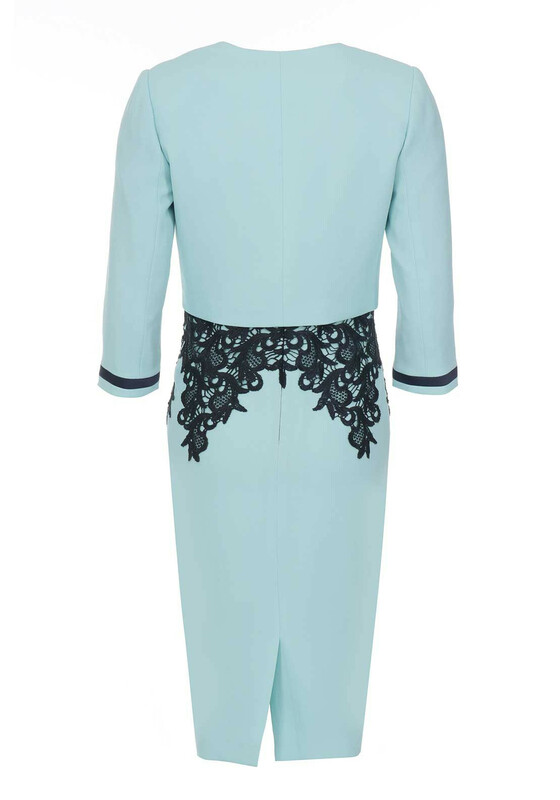 The matching jacket is designed with a shorter waist length and has navy satin trim at the cropped sleeve cuffs. Length: Dress – 103cm approx. – knee length. Jacket – 41cm approx.